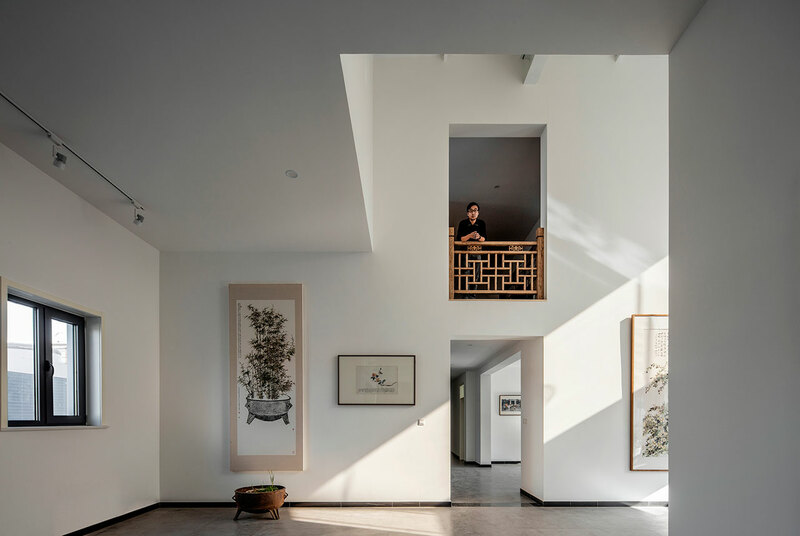 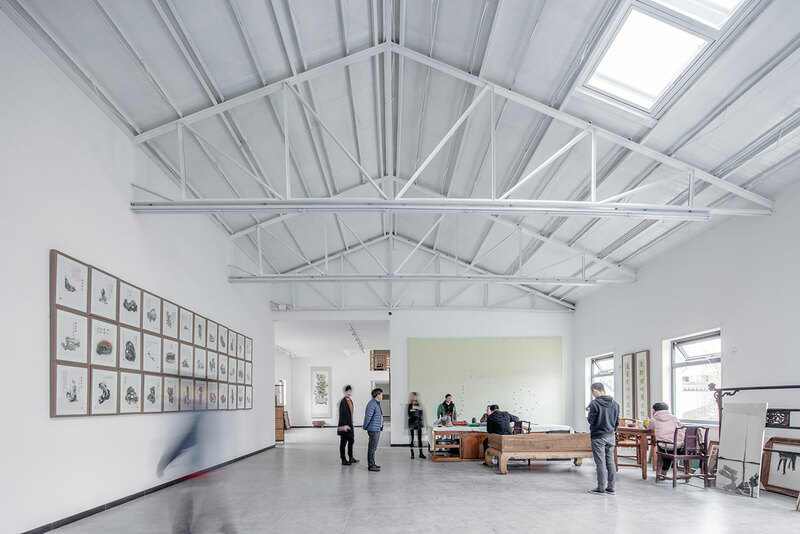 Office PROJECT's chief designers, Chang Ke and LiWenhan, were charged by their client, artist and "literati," Doctor Xu Hongquan, with creating a studio for him in Beijing, China's, Huairou District that was a play on juxtapositions. 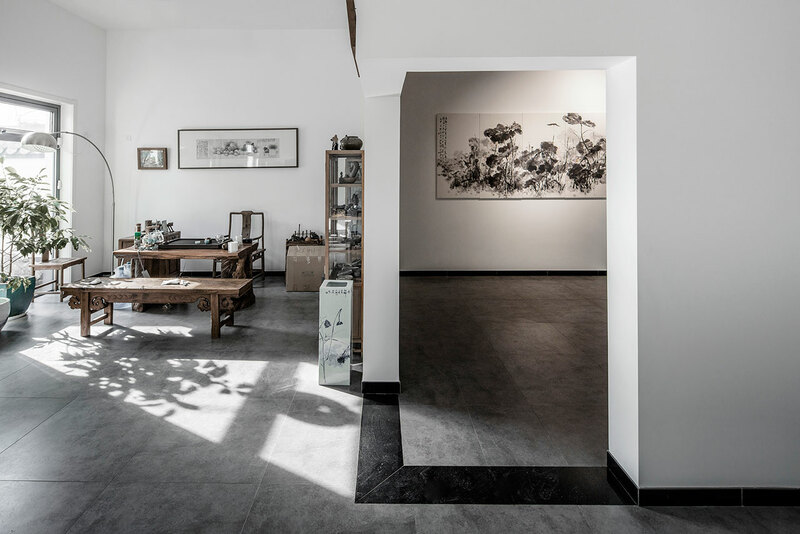 It had to be both a private space for him to live in, as well as a public space for displaying his art; and it had to encompass both traditional, Eastern elements, as well as contemporary, Western sensibilities. 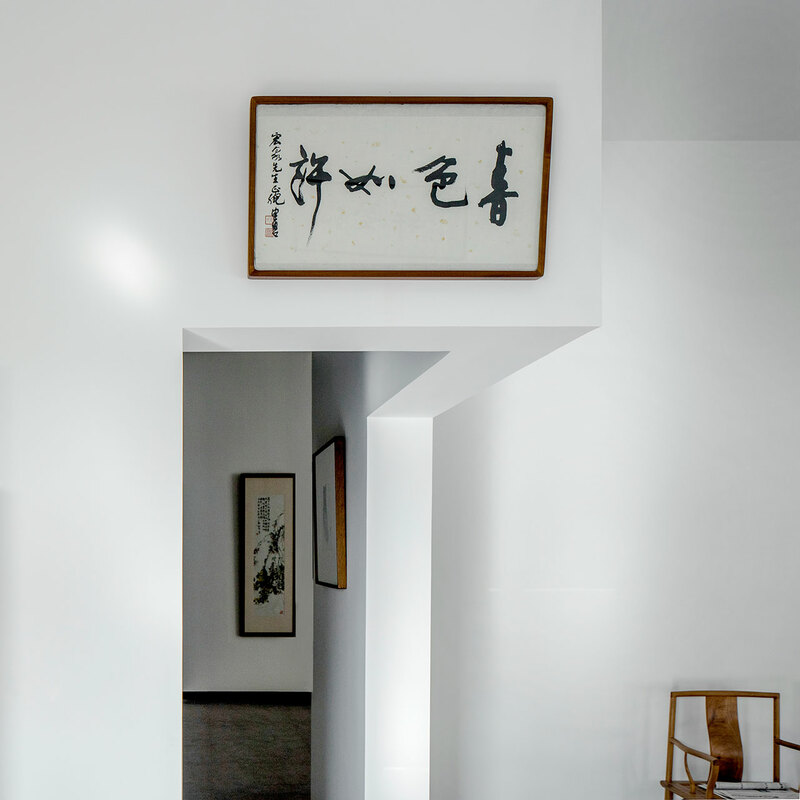 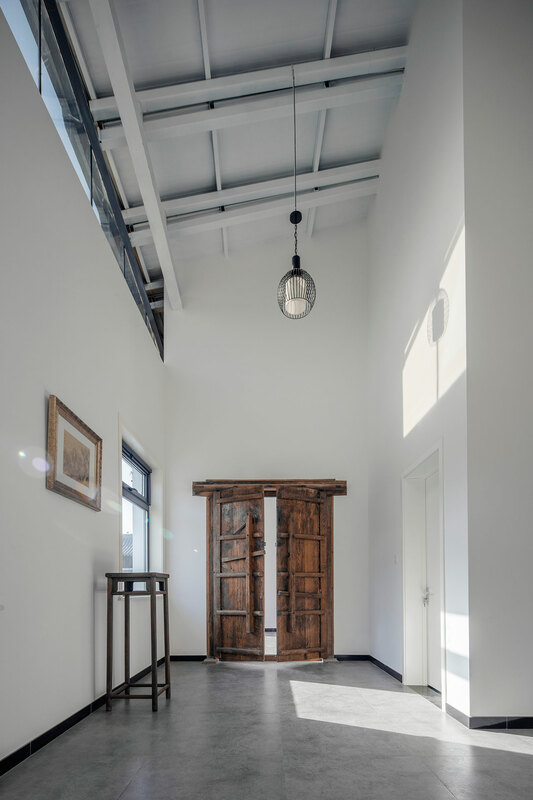 The result: The client's expectations have been clearly met, evident the moment one enters through the heavy, wood front door and walks into the brisk, white interior of Hall Within Cloud. 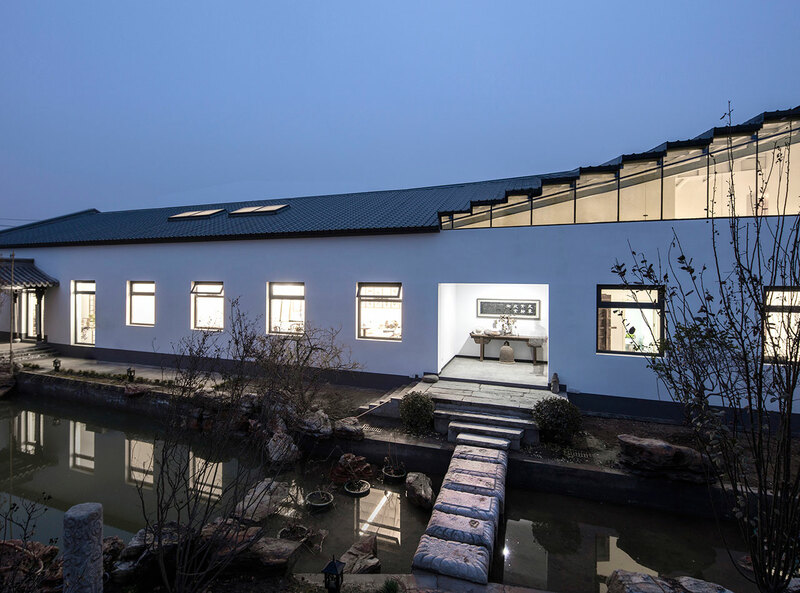 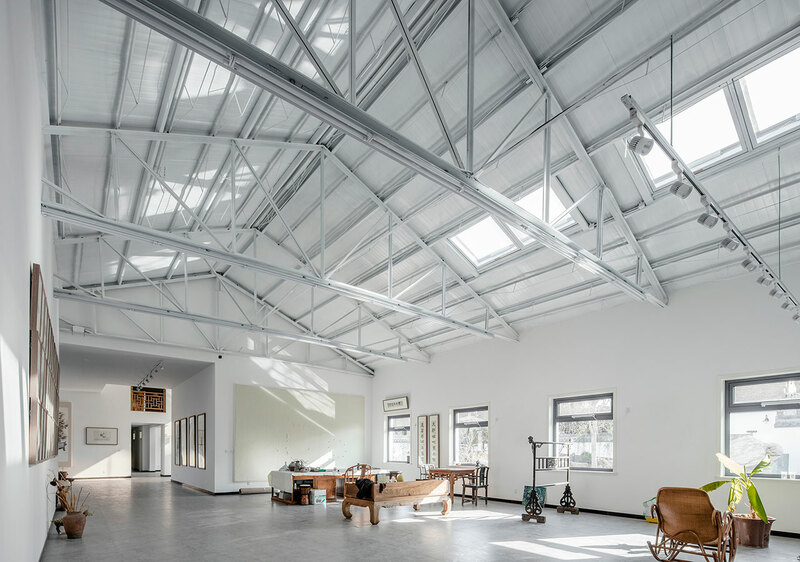 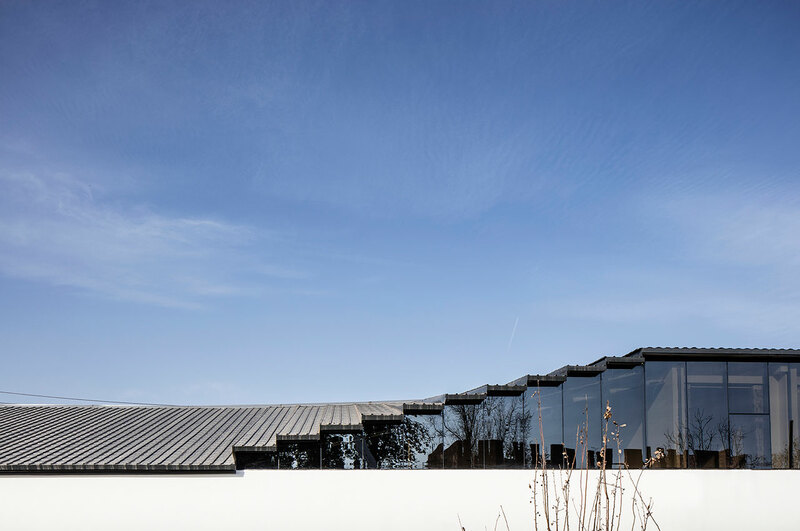 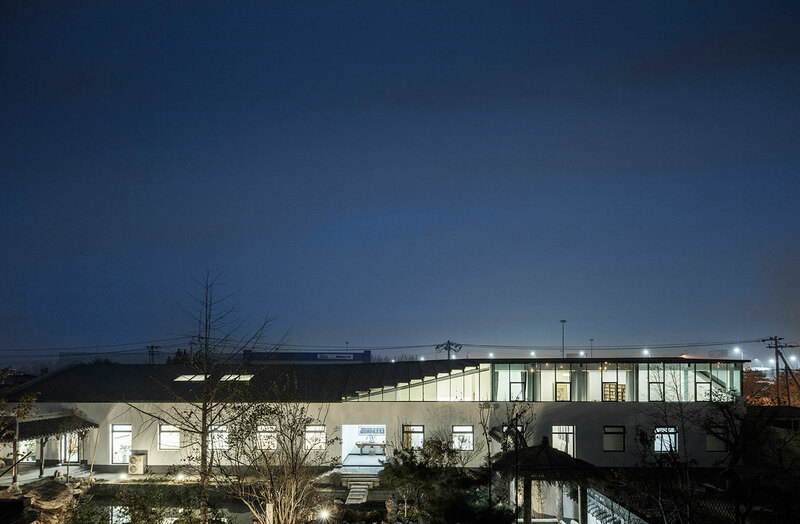 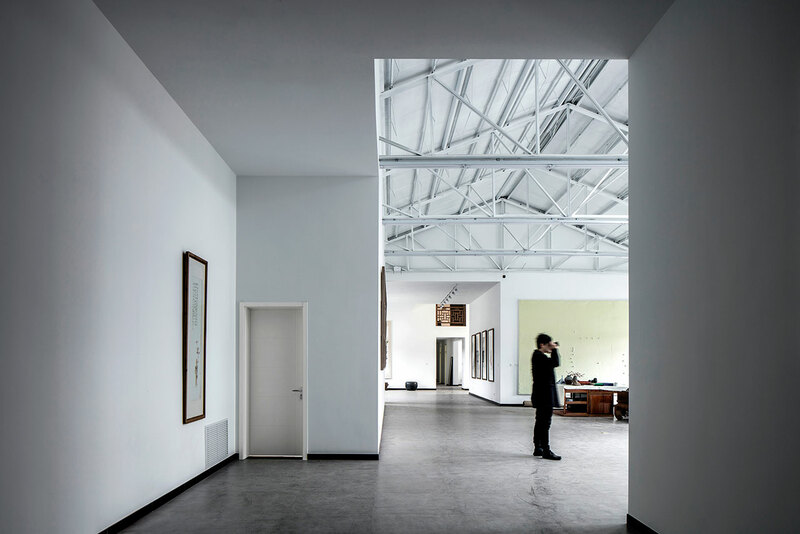 The 800 square meter structure - which was completed in November of 2016 - is actually a reconstructed factory office, built out of brick with a sloping, six meter high steel roof and placed within a 1,200 square meter piece of property. 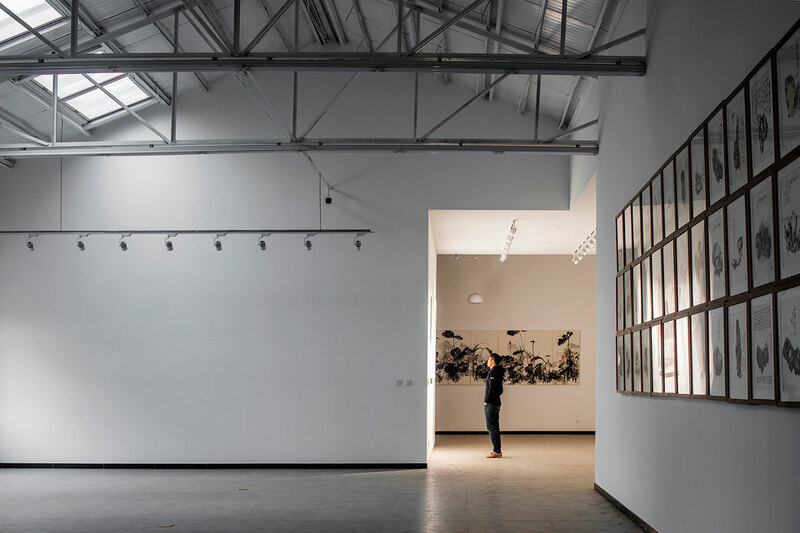 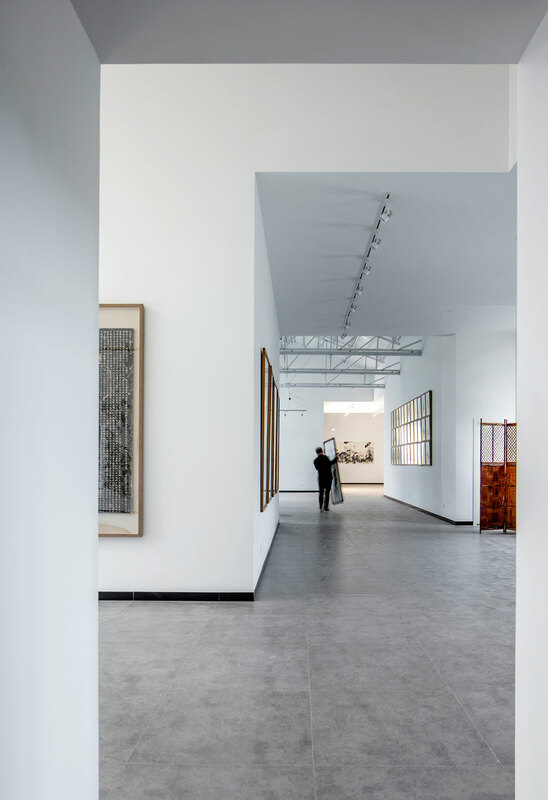 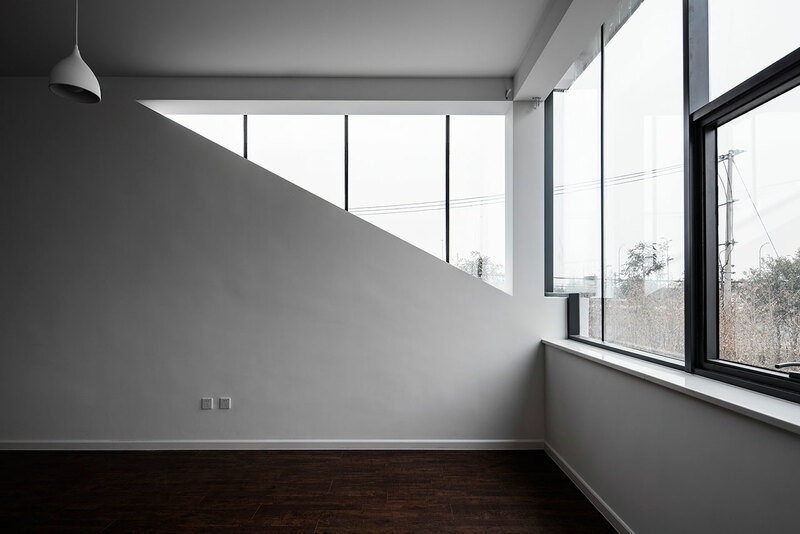 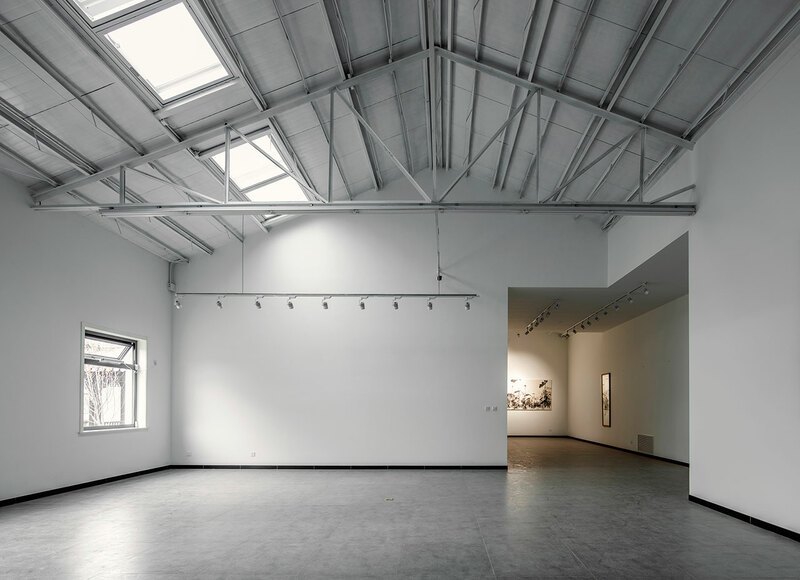 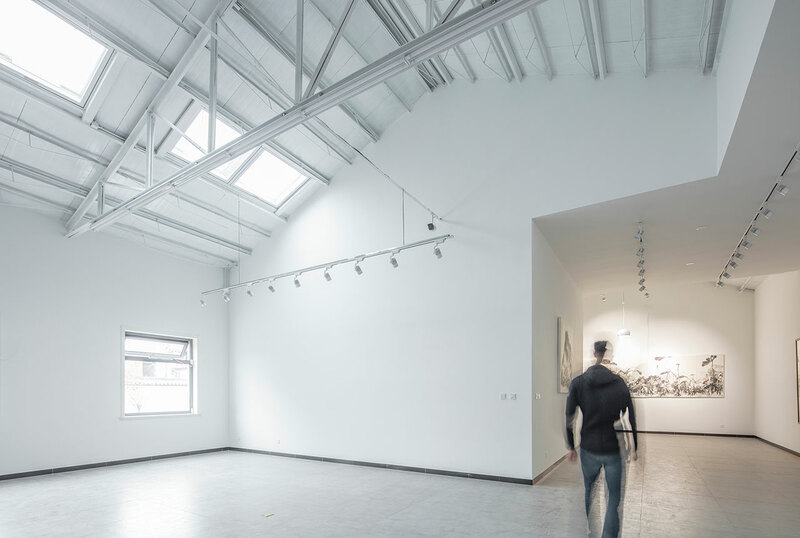 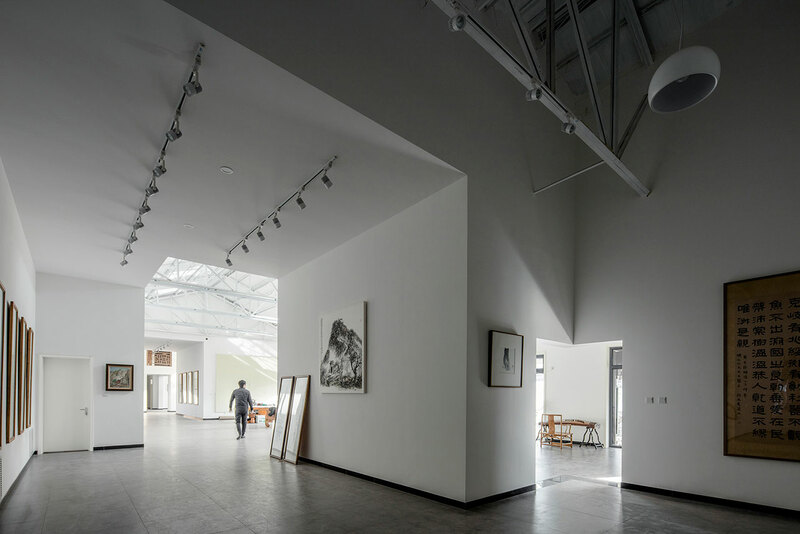 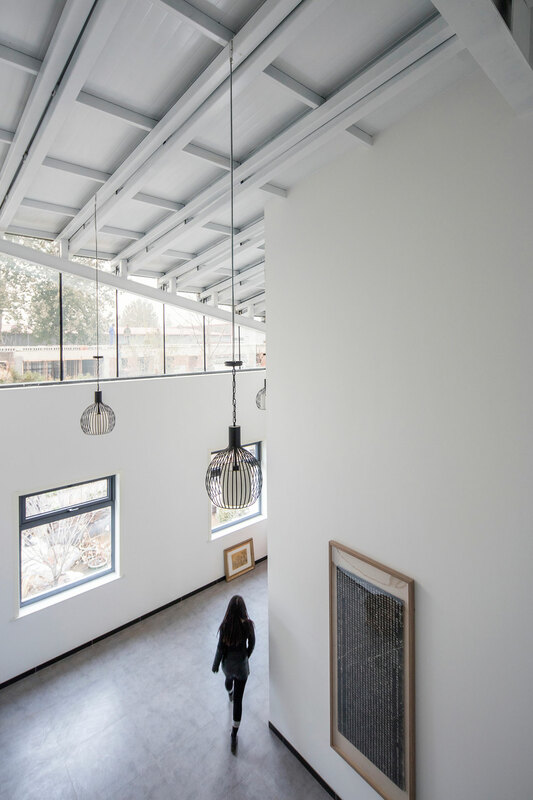 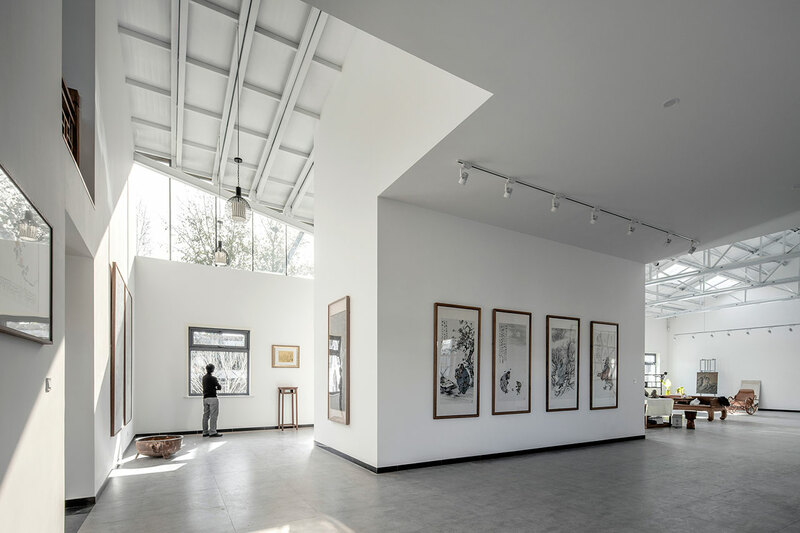 Therefore, the linear building is itself like a blank canvas for the owner's art, affording him complete freedom as to how to utilize the ample space. 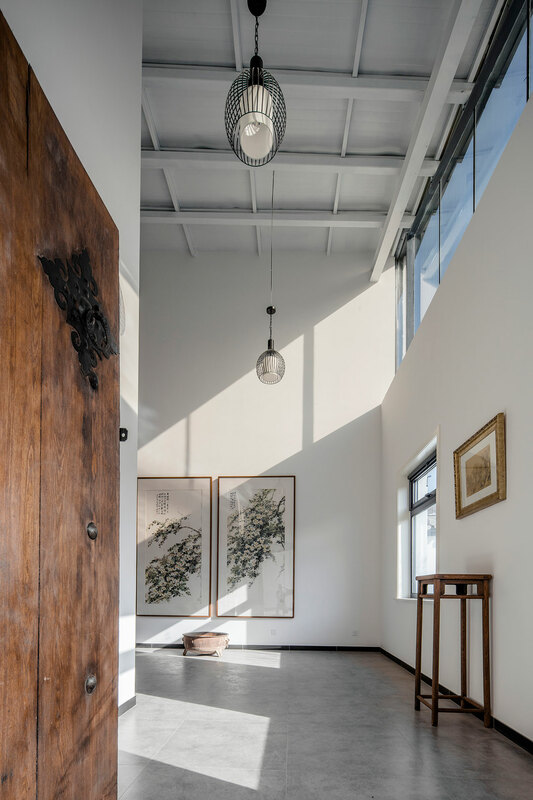 Nevertheless, the designers saw to it that delineations were met, separating the building into a dual purpose studio - to accommodate both the owner's oil painting, as well as his traditional Chinese calligraphy painting - a gallery, a tea room, a bedroom and a study room, with each space featuring a unique "scenario," according to the designers, albeit unified by the bright light that freely flows throughout. 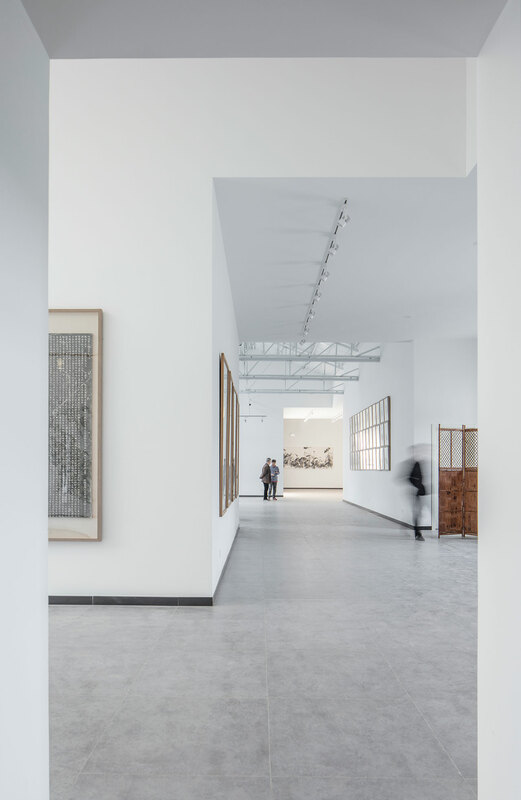 The designers used a "nested layout" in the design - especially in the public rooms downstairs - with one space leading into another without the need for any corridors or walkways. 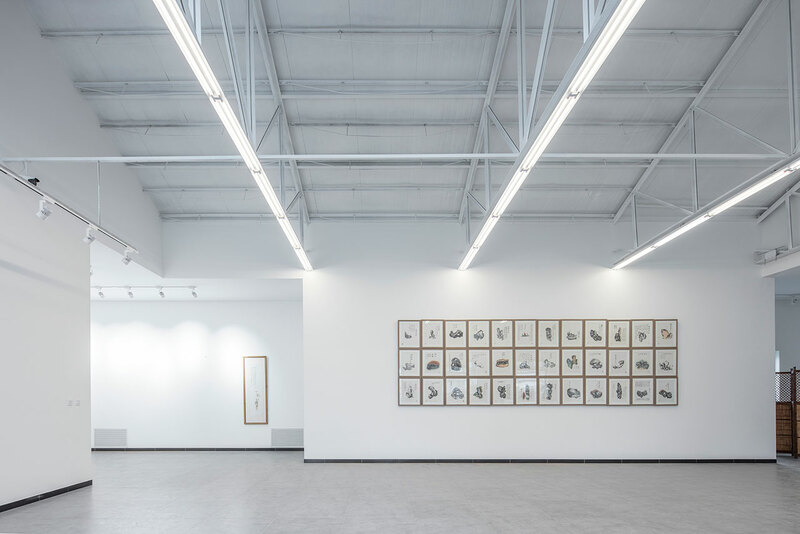 The result is a very open plan where everything flows together; white walls are offset by a continuous, gray marble floor and lights shine down upon the art and guests alike, either from rows of spotlights or from the white-painted steel beams of the roof's structure that cut through the white ceiling. 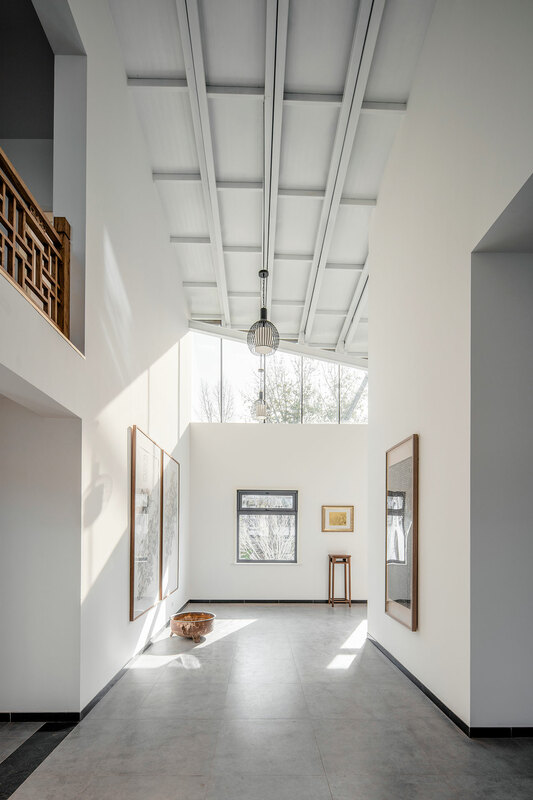 Upstairs, the designers took the same minimal approach in the bedroom and study, but gave them a slightly more homely atmosphere thanks to the dark hardwood floors and direct view towards the garden and surrounding forest outside. 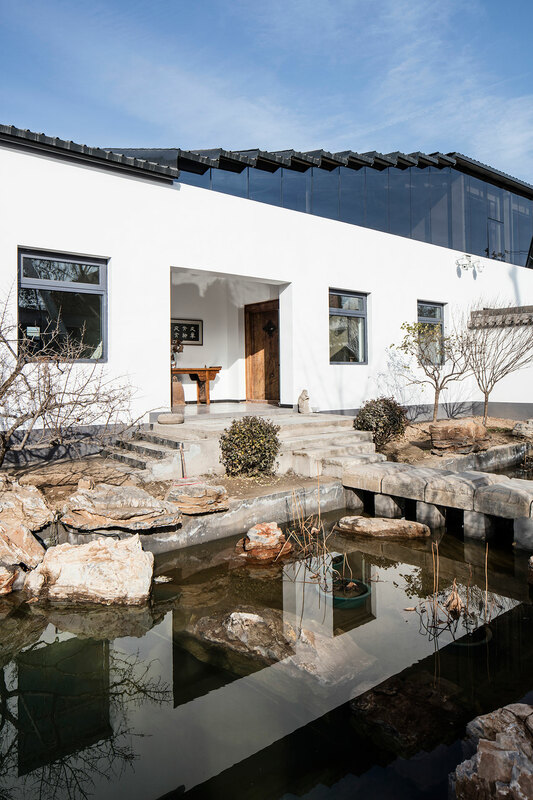 The garden reflects more of the same east meets west sensibility that runs through the studio, with a rock pond as well as small trees and shrubbery greeting guests at the studio's entrance; bridging nature with art just as guests have to walk across the small concrete bridge to reach the front door. 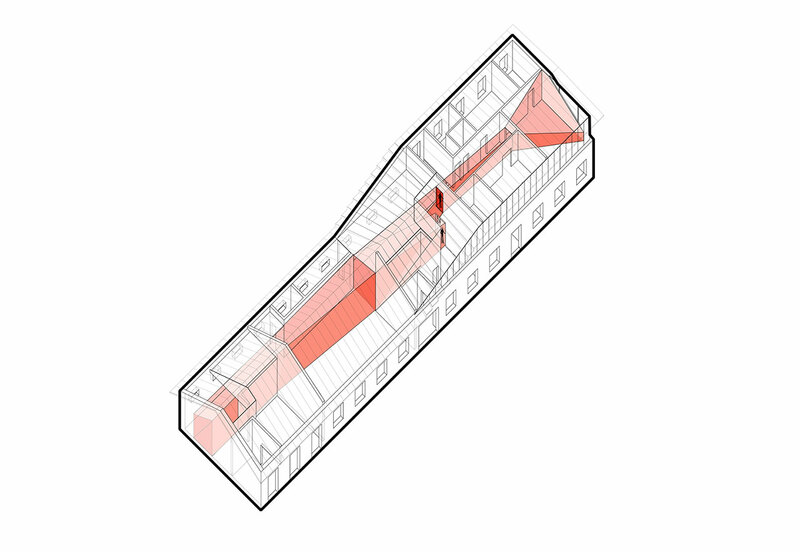 Analysis of visual screens © office PROJECT.